For 6 persons: 9 eggs, 100 gr. of “Truffles” sliced or “Cream Truffles Summer Blacks” or “Carpaccio of Black Summer Truffle,” “Black Truffle Dressing”, extra virgin olive oil, salt and pepper. Beat the eggs in a bowl with salt and pepper, add the truffles and mix well. 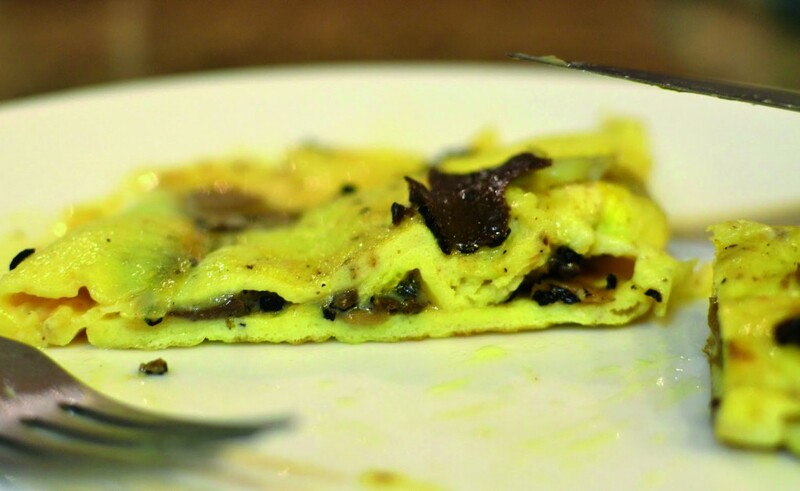 Heat in a pan the extra virgin olive oil and pour the mixture in the pan ciotola.Muovete constantly to prevent eggs from sticking, and when the bottom will be curdled, stir the omelet, spruzzatevi few drops of “Dressing Black Truffle “and cook. Serve hot.